Healthcare research specialist P\S\L Group has transferred Carolyn Chamberlain to the role of Managing Director of its healthcare tracking and testing business, Instar Europe. Instar offers custom-assembled virtual panels and proprietary advanced analytics techniques to track and enhance the drivers of brand performance. Chamberlain (pictured) has more than twenty years' experience in pharma market research. She joined P\S\L last summer as Business Unit Head at its Assure BrandPanels, which uses artificial intelligence (AI) and machine learning to prevent fraudulent respondents from infiltrating research samples. Prior to this, she worked for Adelphi Research Group as Head of Client Strategy, Sales and Marketing; Millward Brown as Head of Qualitative Healthcare, then Commercial Director of Healthcare; and Ipsos MORI as Director - Head of Qualitative Healthcare. Earlier, she held client-side role Insight Manager at AstraZeneca, leading teams in the CV and Oncology divisions. Jean-Olivier Marty, Group President Instar, comments: 'It is phenomenal news to have someone of Carolyn's calibre and pedigree join the Instar team. 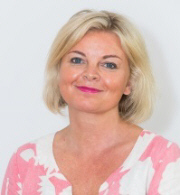 Carolyn will be instrumental in further developing our successful relationships with Industry clients across Europe. She has a wealth of experience and expertise, which combined with her passion and dedication for solving clients business needs, makes her an ideal fit to help us continue our growth story'. Web sites: www.pslgroup.com and www.instarresearch.com .